SMG are delighted to be acting for the soon to be launched World XV Rugby Series. The concept of IRB approved WorldXV Rugby Series sees hand picked players compete in the world tour against high profile opposition. This will include in 2014 matches against South Africa, Australia and New Zealand. The 2014 matches will take place in Cape Town, London and a high profile venue in the USA with coverage back into multiple global markets, where the first match takes place in Cape Town on June 7th 2014. "We have had significant interest from blue chip sponsors in the Series" says SMG's Stephen Pearson "we hope to conclude agreements for shirt sponsorship and Series sponsorship shortly". From September 20 till 22, Instaforex took part in the racing weekend as an honored guest at one of the most remarkable stages of the FIA Formula World Championship, The Singapore Grand Prix that was passing along legendary Marina Bay street circuit. 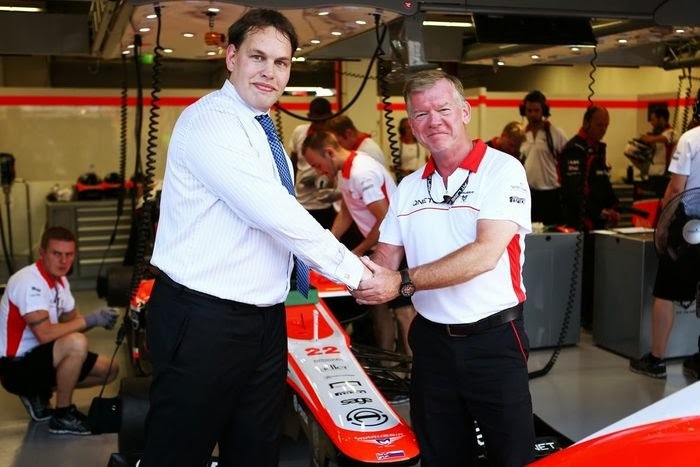 The racing weekend also hosted the meeting between Dmitriy Savchenko, vice-president of SMG client InstaForex and Andy Webb, CEO of the Marussia F1 team where the parties expressed the mutual accomplishment by the partnership results and came to an agreement on a closer cooperation. Besides, a few employees of InstaForex visited Singapore Grand Prix being encouraged for a long-lasting personal contribution. Most fans will not have any idea who most of the advertisers around the grounds of Premier League club are at the start of the 2013/14 season. No other sport can provide the exposure and relevant demograph these clients are gunning for, its low hanging revenue fruit for Premier League clubs and its set to continue. The most unusual of the deals announced is 12Bet's stadium naming agreement for a single year with Crystal Palace. It will be interesting to see which media channels actually refer to it as such over the coming season. Having signed up Wigan well before the end of last season to a shirt sponsorship, 12Bet were obviously stuck with no presence in the Premier League and this is probably more of a "face saving" deal for 12Bet than marketing led rationale, albeit the flurry of initial PR. InstaForex has become an official sponsor of Marussia F1 Team in the Russia’s largest automotive show Moscow City Racing that took place in the heart of Russian capital July 20-21, 2013. The debutant at F1 Max Chilton took part in the demonstration run in front of the Kremlin.On July 19, InstaForex and Marussia F1 Team held a press conference at the RIA Novosti press center that gathered representatives of the major national and international sports media. Thus, most actively participated such sport news agencies as R-Sport, championat.com, sports.ru and international newspaper The Financial Times. During the press conference, Marussia F1 Team CEO Andy Webb highlighted that the team bears a considerable likeness to InstaForex broker in the number of employees and development strategies. Meanwhile, InstaForex Director of International Affairs Ekaterina Pobedinskaya appreciated the mutual cooperation and voiced the hope that the participation of Marussia F1 Team in Moscow City Racing sponsored by the broker will be the cornerstone of its future development. As for Moscow City Racing, the show was a great success with spectators over 300,000. One of the world’s biggest auto shows was an excellent start for a young driver in particular and Anglo-Russian team on the whole so that to meet their fans and show their brilliant performance. A huge number of people witnessed an outstanding show of Max Chilton and other titled racers. Some of them were lucky to have the paddock pass. The visitors of Marussia F1 Team’s paddock had a matchless opportunity to meet the driver and mechanics, get autographs, take photos of the car and racers.The cooperation with Marussia F1 Team enabled InstaForex TV journalists to enter the holy of holies – the team’s paddock, where Max Chilton gave an exclusive interview while preparing for the show. Moreover, the broker’s representatives were allowed to get inside the car; they understood what it is like to be an F1 driver. InstaForex and Marussia F1 Team are glad to have taken part in an annual event in the racing world that contributes to the promotion of interest in the F1 championship. 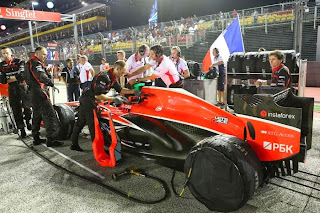 We sincerely hope that Marussia’s participation in Moscow City Racing will become regular.To learn more about the participation of Marussia F1 Team in the past event and view detailed audio and video reports, please go to InstaForex official website. I was not surprised to see Skybet revealed as the new title sponsor of the Football League today. I think that the Football League were truly struggling for a new title sponsor, it frankly made abundant sense to combine these rights as part of a broader discussion with Sky on the TV rights. Th debates are also interesting. The amounts of money that are now paid for TV rights suggests that similar deals should be struck elsewhere. It is surprising that similar deals have not been done historically. Could this possibly mean that Sky demand these rights going forward for future Premier League deals, possibly and i would certainly be seeking such rights if on that side of the negotiation table. The other issue as far as the Football League is concerned is an interesting one. The issue of exclusivity has always been difficult, Sky will be seeking to provide exclusivity to Skybet at all of the 72 grounds and indeed there are some 8 clubs in the Premier League forced to abide by Football League betting partner rules. This i can see will get somewhat messy as clubs try to ascertain if they can still conclude their own betting deals on the perimeter and on concourse. Finally there has been huge debate recently about what constitutes an ethical sponsor, especially with the recent news about payday lending companies. There will no doubt be many concluding that the Football League has sold out to a betting company, a not so friendly family brand etc etc. The deal was only announced today, an interesting few days ahead no doubt on the forums! 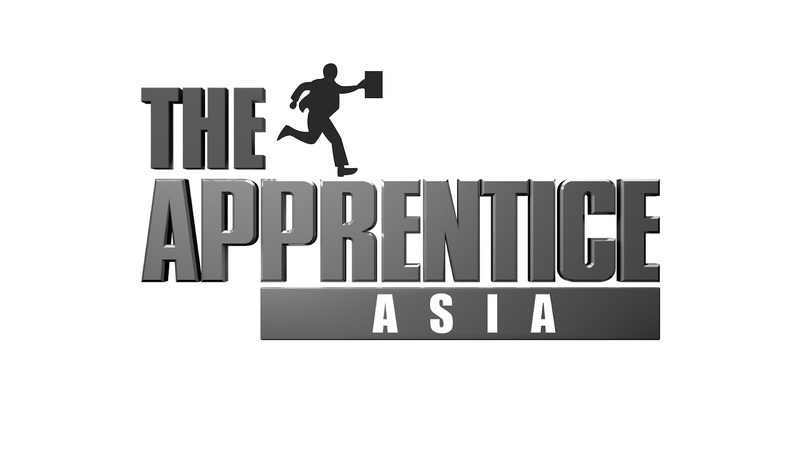 The Sports Media Gaming brokered IG Markets Apprentice Asia episode was broadcast across Asia on 19 June on AXN. The episode saw the contestants trading Contracts for Difference (CFD's) in a task designed to see which team would make the most money. The programme has received excellent plaudits for its originality and Sports Media Gaming are thrilled to have played such a pivotal role in bringing IG Markets and The Apprentice Asia together. How Effective Is It For Gambling Companies To Sponsor Sport? Probably the biggest single category investor into sports sponsorship over the last few years has been betting and gaming. The vast majority of this investment has gone into football through shirt sponsorship and LED perimeter advertising. In today’s market the Premier League is dominated by brands that also have no interest in the UK market, purely sponsoring and advertising at the the clubs for exposure back into Asia where the laws on betting restrict advertising within the territory. Sites like Dafabet, TLC88 and Fun88 are not even currently accessible to UK punters. Household name brands like Ladbrokes and William Hill have shifted more of their activity to “above the line” advertising and the focus for them is for mobile and in-play betting . “Second Screen” is becoming an important part of how viewers consume sport at home and betting is an integral part of this development. Stadia are also becoming wi-fi enabled which increases the potential for ROI from in stadia betting on mobile. Category exclusivity is an ever growing concern. Watch any live football match on TV these days and there will be up to six or seven brands advertising on the LED perimeter; William Hill are the exclusive betting sponsor of the Football Association but even they cannot guarantee exclusivity at Cup games or national team matches. Bet Butler seemingly have the official and exclusive rights to the Football League, but dissect the deal further and its only exclusivity concerning the digital rights to the clubs in the Football League. It means a potential punter who attends a match can be exposed to one betting company on the concourse taking live bets, several more on the LED during the match and only find BetButler by going to the club’s website. Effectiveness has to be measured by ROI and the different stage of the product lifecycle the brands are on. 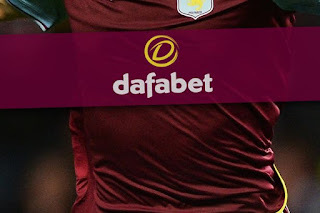 New brands tend to go for the mass awareness the Premier League can offer through high profile shirt sponsorship but betting brands are very protective of their data and rarely give access to actual “sign ups” of new accounts as a result of their sponsorships in sport. One sign may be the shift where only a few years ago almost 50% of the Premier League clubs sported a gambling sponsor on the shirts. Coming into the 2013/14 season it is likely to be less than 20%. Whilst in the early days of betting there was a huge land grab for the rights where share of voice was hugely important, these days the betting companies are employing media savvy individuals whose focus on ROI is under more scrutiny means that clubs are not seeing the same “windfalls” they did historically. Allied to that is the influx of new money into football from the Middle East which is “gazumping” the big betting shirt sponsorships, for example where Emirates has taken over the profile shirt deals once enjoyed by BWIN at clubs like Real Madrid and AC Milan. The ever changing regulatory situation in different countries means betting brands have to find ways of creating standout and ROI at the same time in markets where they can advertise. 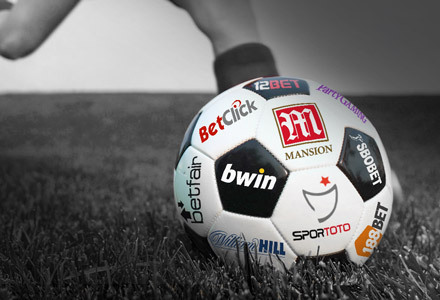 It is not easy in an increasingly cluttered market place but the synergy between betting and sport, especially football will always be there, which is why brands to some degree cannot afford not to be present and why the Premier League, which offers a “one stop shop” to global exposure will always attract brands in this sector. Aston Villa have signed Dafabet as the Official Main Club Sponsor in a a two-year agreement brokered by Sports Media Gaming who assisted in bringing the Asian betting company to the club. "In 2012 Dafabet was ranked 21st in the prestigious eGaming Review Power 50 list of online gaming operators. In AXN's new show - The Apprentice Asia - the candidates trade the markets with IG to compete for a six-figure job with Malaysian airline entrepreneur Tony Fernandes.The deal was brokered by leading sports marketing agency Sports Media Gaming from London, UK. The owner of Air Asia endorsed the trading challenge, recognising the parallels between the skills required for success in trading, and those needed for success in business. You can now test your trading skills against his would-be Apprentices, and access the advice they were given before the trading challenge. In the show - to be aired on 19 June on AXN - the candidates trade on an IG Demo account for a short time, with a virtual budget, using a market 'Watchlist' to focus on certain markets. 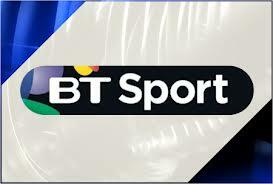 Interesting row going on between Sky Sports and BT Sports at present. Sky Sports are arguing against BT Sports being allowed to buy advertising on the Sky Sports channels to promote the new channels they are launching next season. Sky have compared the situation as like Tesco being allowed to advertise inside Sainsburys. It is an interesting situation and i recall a similar situation going back to 1998 when the now defunct On Digital Channel was in existence. As that time I was Commercial Director of the Premier League, meeting with Sky Sports who had just invested some £600mill to acquire the rights to the Premier League, i advised that OnDigital were about to acquire perimeter advertising around the grounds during Premier League fixtures. Rather promptly Sky came up with £1mill to take over the deal. Looking back at that situation it really shocked me that Sky had not secured the exclusive rights at the grounds, but in those days there was so much focus on TV revenue and not commercial rights that it was somewhat overlooked. Looking at the situation today with BT and Sky Sports, a similar situation presents itself. The Premier League teams have in the main outsourced their LED inventory to 3rd party companies and BT Sports could easily step in and secure advertising on LED during the matches. If they wished to go a step further BT Sport could...and maybe are considering acquiring high profile event or team sponsorship. One could well imagine the problem created if BT Sports was emblazed across the shirts of Premier League teams , being broadcast on Sky Sports. Both sides have fair points to argue, although Sky would probably have the argument more in their favour to protect their rights, having been involved and supported the Premier League from Day1. Will be interesting to see how this unfolds over the coming weeks.